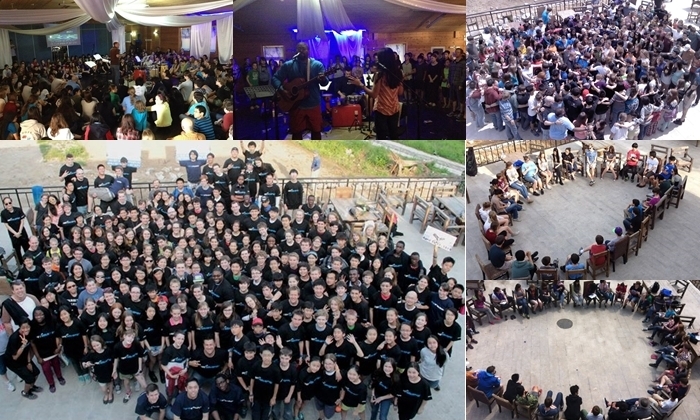 There’s been a lot of great stuff happening in youth ministry over the past few weeks. It’s part of why I’ve been tired (and having trouble keeping up with my emails) but as always, the joy of watching students growing outweighs it all. First, we had a special Sunday morning youth service in which we talked about (and prayed through) fear. The week before, as a sidebar, Joe had asked students to raise their hands if they struggled with fear/worry/anxiety on a daily basis – and the vast majority of the 80ish teens present raised a hand. From years of working with these students I wasn’t surprised by the number, but I was surprised by how many were immediately willing to publicly identify with this deep fear, and in front of their peers. In response we changed our schedule and spent the next Sunday morning talking about the nature of fear and how to be free of it. Too many TCKs live bound by fear and anxiety, without realising life doesn’t have to be that way. In the weeks since we have heard many stories of students who have experienced a deep sense of freedom in the weeks following. 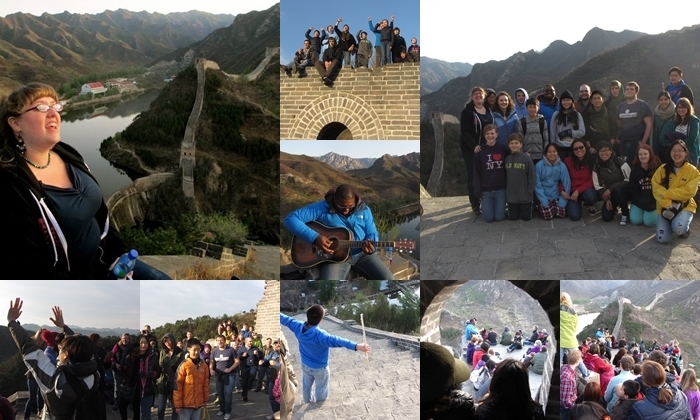 The next week was Easter, and our Sunrise Service at the Great Wall. This was my 4th sunrise service and I enjoyed it greatly (read about my first sunrise service here). With Easter falling so late in the year we had an earlier sunrise than normal, but we left at our normal 4am – in a convoy of two buses and 5 cars! All up 80+ people travelled to Huang Hua Cheng, a spot where the wall crosses a dammed river, so it only takes 10 minutes to hike up to the platform where we have our service. It was a beautiful clear morning, not too cold, and plenty of blossoms everywhere. Singing with Joe with that view on a gorgeous morning, surrounded by students I love, made for an amazing Easter. The next week (last weekend) was my final big youth event here in China – our Spring conference. This year was something very different – and completely wonderful! The 240 participants came from every continent but Antarctica. Nations represented included: Australia, Canada, China, Cote d’Ivoire, DR Congo, Equatorial Guinea, Germany, Ghana, Hongkong, Indonesia, Japan, Malaysia, New Zealand, Norway, Philippines, Singapore, South Africa, South Korea, Taiwan, USA, UK, and Venezuela. Our speaker came up from Cambodia for it and did a great job (I met him when he spoke for EPIC last year). The main room was set up as a circle, which was a great experience for everyone. I had lots of great moments with different students, many of whom I’ve known for years and years. A few of the graduating seniors I’ve known since they were 9 or 10 years old! At the end of the conference I had an opportunity to address the group, and as I stood there thinking over how much they all mean to me and trying to express that in words, I nearly choked up. It’s hard to imagine not doing youth camps – they have been milestones and highlights of my decade in China. The bottom row shows the whole group at the end of conference, and me teaching two seminars on grief and transition. This Wednesday we had a combined youth meeting (both the middle school and high school groups together on the eve of a Chinese public holiday) and had a wonderful time of games, worship, and sharing. We invited students to share stories of how God has been at work in their lives, and so many teens wanted to share that we kept going right up until the end of our time – that meant 45 minutes or so of students sharing testimonies. Their stories included all the events I’ve mentioned, and more beside. It was a joyful time indeed!